Among the major guide posts for our RV route planning are the locations of national parks. Not so much national monuments or national historic sites, but specifically the 59 officially designated national parks. While the RV campgrounds within them are not always great, the parks themselves are usually astounding. 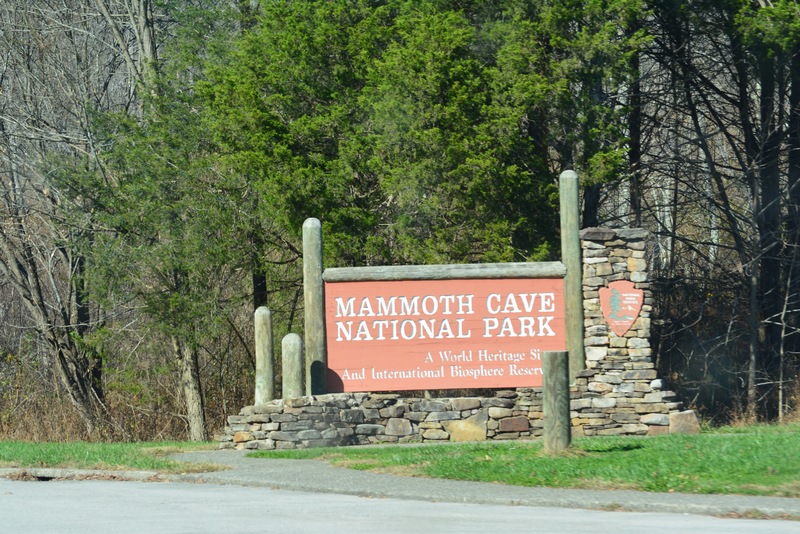 With our November visit to Mammoth Cave we have logged 19 national parks this year. And yes, we plan to see them all, eventually. So, during our eastward push through the full length of Tennessee we scheduled a detour north across the Kentucky border to Cave City. But before that turn, as the trip from Hot Springs to Mammoth was significantly longer than our preferred daily driving distance, we pulled over an hour outside Nashville to do a bit of internet research for a cheap one night stopping point. Passport-America delivered again, pointing us 30 miles up the road to Tanbark RV Campground. After taxes it was still less than $14 for a full hook up (30 amp) site including free (and mostly usable) wifi and hot showers. Admittedly it’s not a destination resort, but conveniently located right off I-40 (but just far enough from the interstate to eliminate the highway noise) the price vs. amenities is hard to beat. 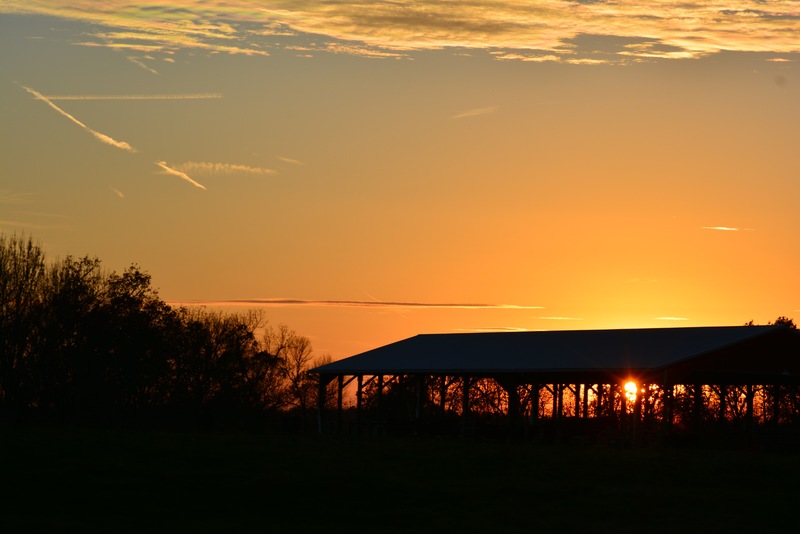 We used that precious wifi (having yet again maxed out our own monthly data plan) to research and finalize an RV park for our two day stay in Kentucky. Despite the excellent experience we had in the official National Park Service campground in Hot Springs, we remain skeptical of NPS campgrounds in general. 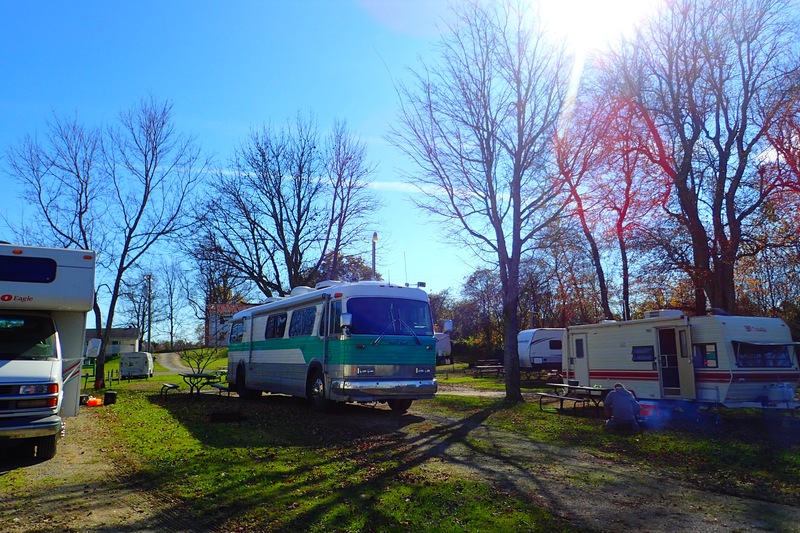 Based on cross referencing Passport-America and RV Park Reviews I was leaning towards Rock Cabin Camping, a small and quirky place just outside the national park grounds with only ten RV spots plus nine variously sized rock cabins. But during my conversation with the manager on duty (perhaps Ralph, one of the owners?) he convinced me that they might not be a good and safe fit for a rig as large as The Big Kahuna. 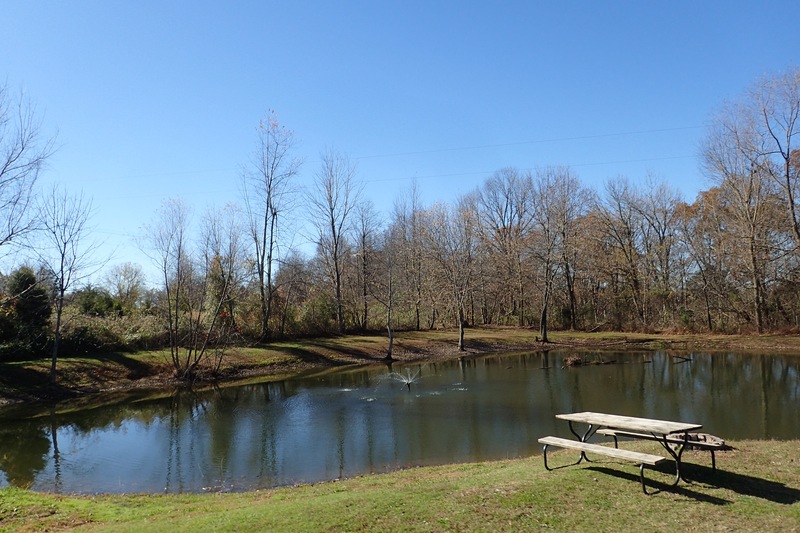 He provided a a couple of recommendations, and those combined with our previous research lead us to the Singing Hills RV Park just outside Mammoth Cave’s boundaries, where we made reservations. The next morning we finished the drive to Cave City and Singing Hills. Mrs. Beth checked us in, providing us with not only clear instructions for her park, but also recommendations for local attractions and an invitation to her group’s bible study. I don’t think they are ready for a militant atheist, but it was a kind and honest offer, which once again confirmed my respect for individual evangelicals in contrast to the the actions of the community as a whole. This full hook up park is reasonably spacious and includes a “catch and release” fishing pond, warm showers (though the bathroom is awkwardly arranged) and volleyball, horseshoe and basketball facilities. 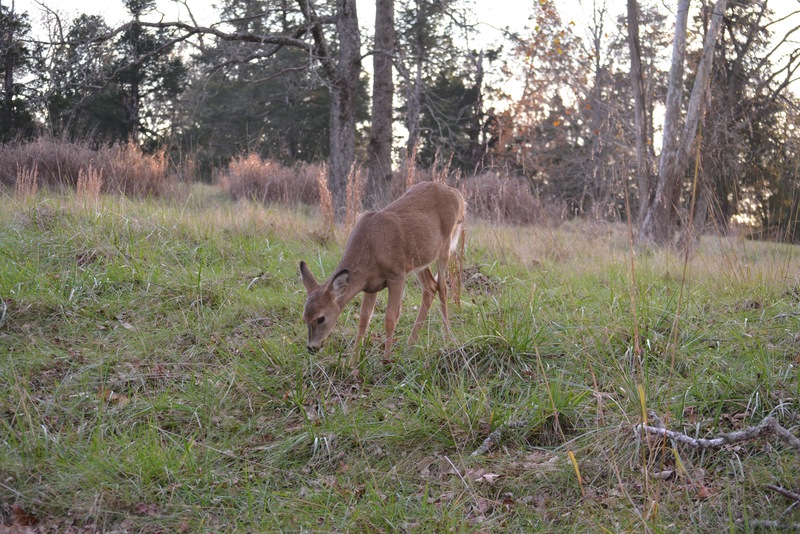 Having done our research and explored the area, I can comfortably say that if you are visiting Mammoth Cave you will be very hard pressed to find a better value than Singing Hills. PA rate: $17 a night. We are ready to refer anyone interested in Passport-America! But what about the park itself? Yes, well. 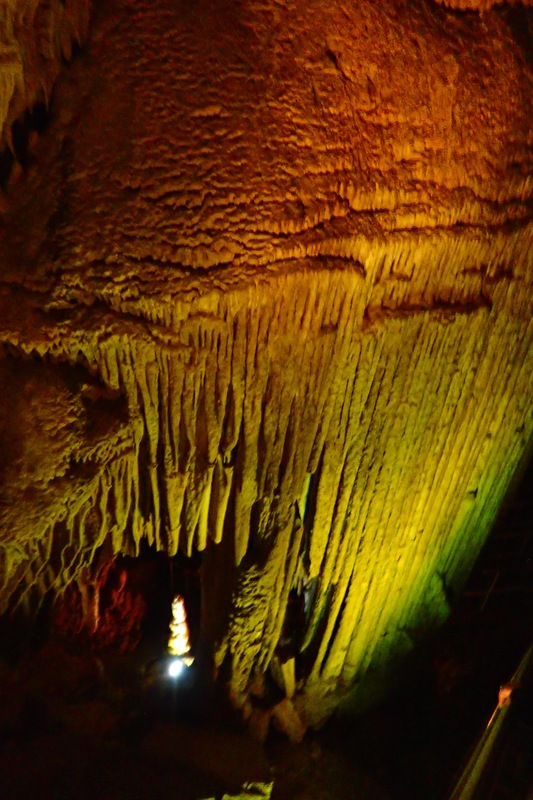 We had two reference points for cave type tours: Florida Caverns State Park (in Florida, shockingly) and the astounding Carlsbad Caverns in New Mexico. We were thinking that Mammoth would be something along the lines of the latter, however geology intervened. While Carlsbad is a deep and hydraulically active cave system, Mammoth is a shallow, dry, and mostly inactive network. What makes the Mammoth Cave system utterly amazing is it’s size: over 400 miles of explored tunnels, with miles more discovered each year. It is, by far, the largest cave system in the known world. 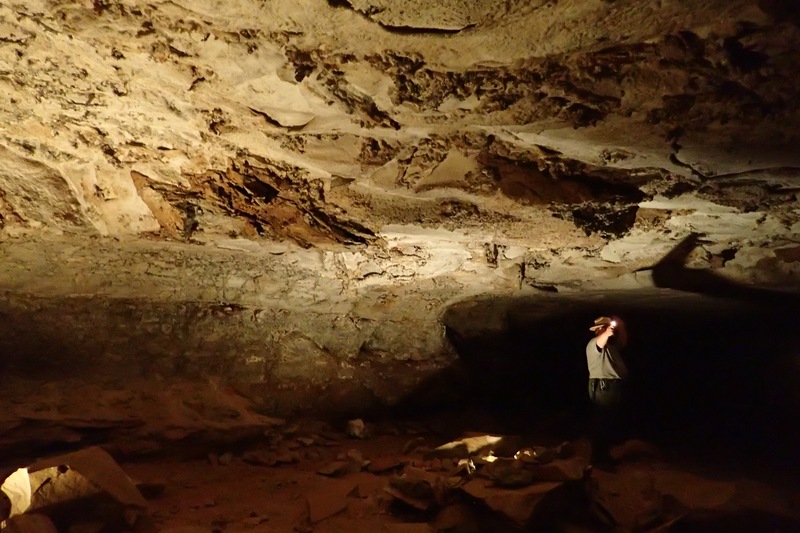 The below ground permeable limestone cavern system is capped by a thick layer of less permeable sandstone, which has served to protect and stabilize the huge Mammoth Cave system. 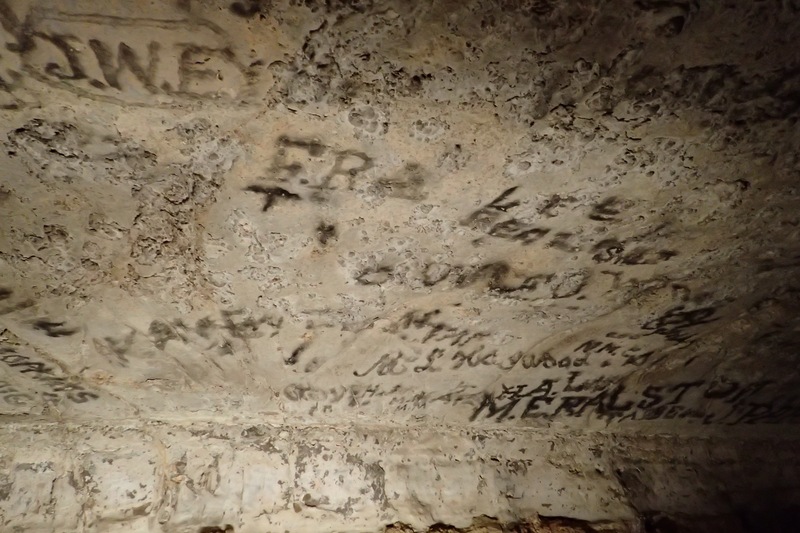 Various “separate” cave systems, such as Mammoth, Diamond, Crystal and Flint Ridge, were eventually connected by spelunkers, demolishing the international competition for world’s largest system. And that’s the allure. A massive, and even as of 2015, only partially explored cave system. 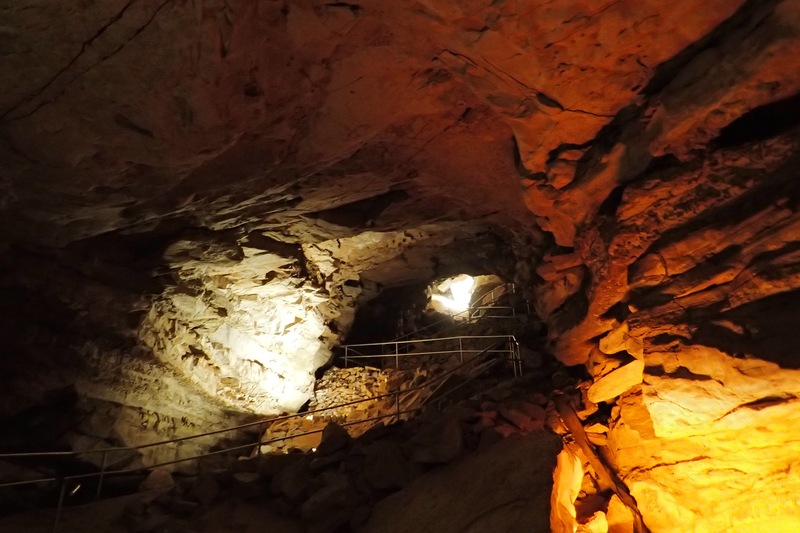 If you are a general tourist looking for astounding sites, Mammoth, mostly consisting of dead brown cave tunnels, cannot possibly compete with the extraordinary beauty of Carlsbad’s active system. But if you are an adventurous explorer looking to crawl through tight passages, Mammoth is most definitely a better fit for you. During our two day stay only three tours were available due to the winter season and closures of the historic areas for improvements. 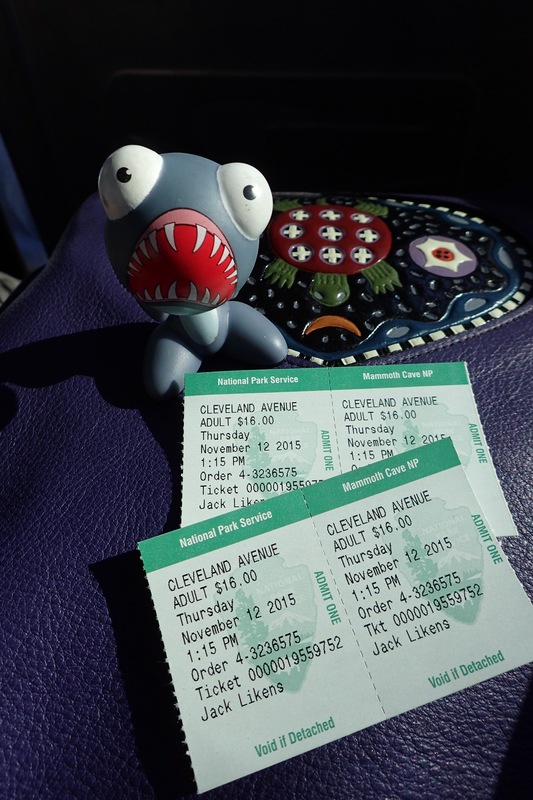 We chose to do the Domes and Dripstones as well as the Cleaveland Avenue tour. If we had it to do over again we would have skipped the painfully slow Domes and Dripstones in favor of the shorter Frozen Niagra option, but probably kept the Cleaveland tour. Had we been there on the weekend, I suspect the Wild Cave tour, involving significantly more tight cave crawling, would have been pretty awesome if we could handle the claustrophobia. 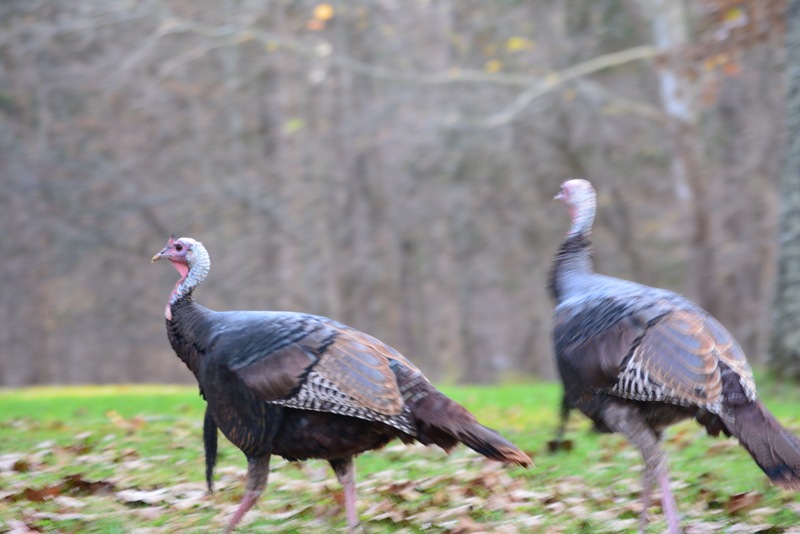 Perhaps as enjoyable as the caves themselves were the abundant examples of wildlife, particularly the deer and wild turkey. Each evening after our afternoon tour we observed multiple groups of both. Deer with fawns, yearlings, and five or so turkeys wandering across the park roadways as if taunting us that Benjamin Franklin was, perhaps, right all along. Bottom line: we liked, but did not love Mammoth like Carlsbad. Perhaps next year we can compare both of them to the Luray Caverns in Virginia. Your pictures always turn out really nice. What kind of camera do you use? Nice post! When you’re in Southern AZ, also recommend you check out the live Kartchner Caverns as well. It’s been fun following your blog. I’m a little behind but also just read your Pigeon Forge blog, glad you’re ok! OK we will keep Kartchner in mind, particularly if it is something closer to a Carlsbad like cave system. Thanks for the info on the cameras. Rosemarie – great pics!